Introducing the Marantz SA-10 SACD player/DAC and PM-10 amplifier – The New Reference series. Click here to register your interest or request a demonstration. 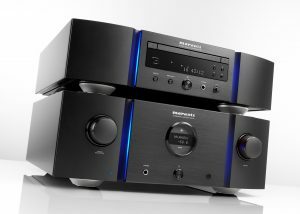 For many years, the Marantz Reference Series of MA-9, SC-7 and SA-7 has set the standards for playback and amplification: not only does it draw on all the expertise the company has developed over decades, it’s also the embodiment of the thinking underpinning every product the company makes, summed up in the simple phrase ‘because music matters’. Now Marantz is challenging its own Reference Series with the introduction of the Premium 10 Series – products designed to create a new reference through new design and engineering. The Premium 10 series, comprising the SA-10 SACD/CD player/DAC and PM-10 amplifier, features groundbreaking Marantz audio technology designed to deliver the best possible sound from highresolution audio formats and CD alike. 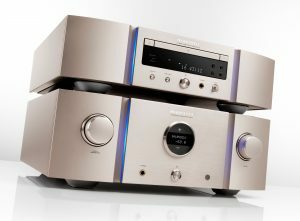 Taking its place at the pinnacle of the range, the new duo is so advanced in both technology and performance that Marantz describes it simply as The New Reference. Bringing together everything Marantz engineers have learned, designed and developed over more than 70 years, the Premium 10 series is a combination of established audio practice and innovative thinking, meticulously built and designed to deliver superb performance and set new standards. Above all, it remains true to the maxim that has guided Marantz for many years, and which is summed up in one very simple statement: Because music matters.